422 pages | 20 Color Illus. | 22 B/W Illus. Cybersecurity, or information technology security, focuses on protecting computers and data from criminal behavior. 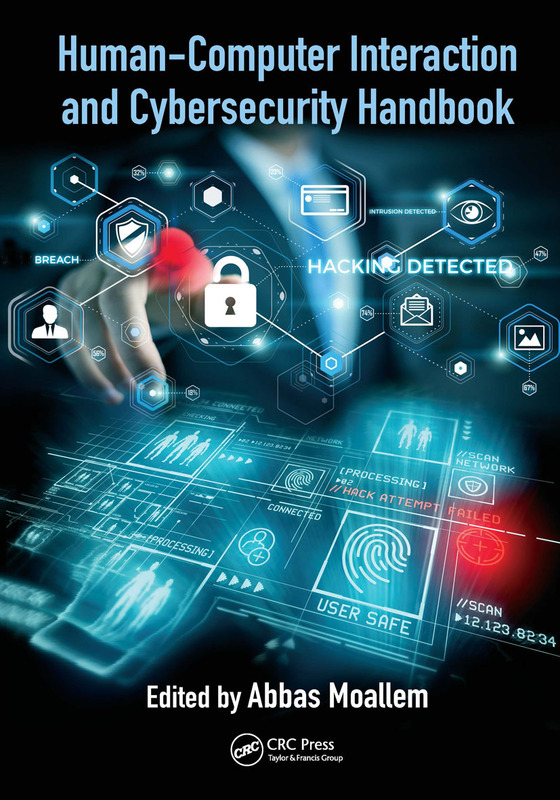 The understanding of human performance, capability, and behavior is one of the main areas that experts in cybersecurity focus on, both from a human–computer interaction point of view, and that of human factors. This handbook is a unique source of information from the human factors perspective that covers all topics related to the discipline. It includes new areas such as smart networking and devices, and will be a source of information for IT specialists, as well as other disciplines such as psychology, behavioral science, software engineering, and security management. Introduction. Authentication. Biometrics. Machine entities. Privacy. Trust. Insider threat. Social engineering. Money laundering. Black market. Smart cities. Smart network and devices. Healthcare information security and assurance Internet of Things. Privacy regulations. US government and law enforcement. Enterprise solution and technologies. The perspective of the future. Movies and media. Dr. Moallem has over 20 years of experience in the fields of human factors, ergonomics, human-computer interaction (HCI) and usability. He has also served as a senior engineering product manager and usability expert at NETGEAR, a UI Architect at PeopleSoft, Oracle Corporation, Tumbleweed, and Axway for over 11 years. He has consulted in a variety of industries in Europe, Canada, and the USA. Dr. Moallem holds a Ph.D. in Human Factors and Ergonomics from the University of Paris (Paris XIII), a Master's degree in Biomechanics from the University of Creteil (Paris XI) and a Master's degree in Ergonomics from the Conservatoire Nation des Arts et Métiers in Paris, France. He obtained his B.A. degree from the University of Tehran in 1978 and is the executive director of UX Experts, LLC, a UX/UI design and cybersecurity consultancy in Cupertino, California. He is also an adjunct professor at both San Jose State University and California State University East Bay, where he teaches HCI and Human Factors as well as Cybersecurity.